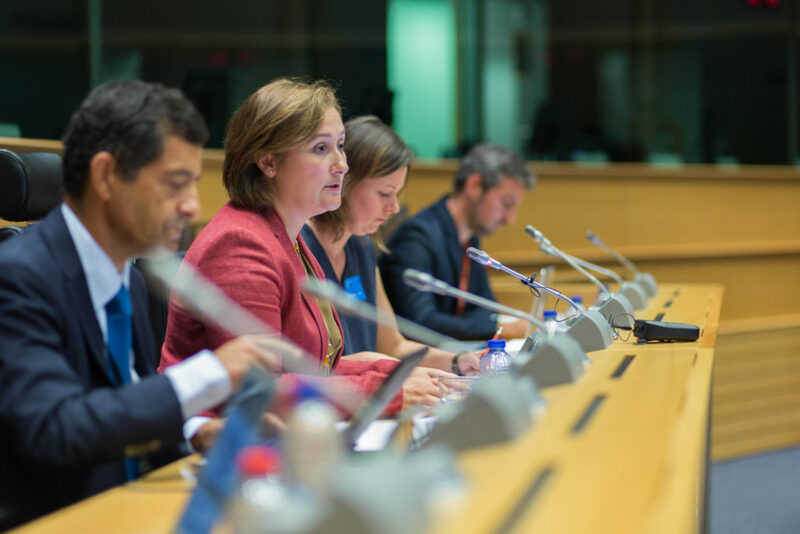 In the copyright reform process, according to MEP Therese Comodini Cachia, the European Parliament is not looking for polarized stakeholder opinions. Instead, it is looking for data and evidence. On September 8 in Brussels we delivered on the latter by showing there is still a chance to unlock the copyright for users. As to what MEPs don’t need, polarization may be difficult to avoid as long as legitimate users’ interests are considered to harm traditional copyright revenue streams. Our event “Copyright reform – unlocking copyright for users?”—which we organized together with EDRi and hosted by MEPs Comodini Cachia (EPP) and Carlos Zorrinho (S&D)—gathered a full house in the European Parliament on a sunny afternoon. 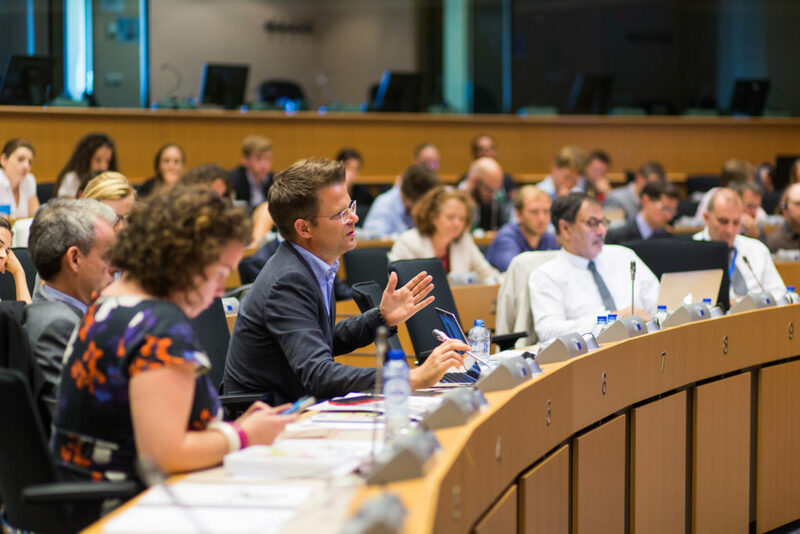 Representatives of digital rights’ organizations, creative industries, publishers, collecting societies, and artists were eager to talk about the future of copyright in the light of the imminent publication of the Commission’s copyright reform proposals. From the perspective of COMMUNIA and EDRi the leaked drafts of the Commission’s proposal presents a grim picture, where all ambitious attempts to adjust copyright to the challenges of the digital economy were replaced by a focus on propping up existing revenue streams. If the leaked proposals are measured against EDRi’s list of copyfails, almost none of the points identified as necessary to address are covered by the draft legislation. Those that are addressed are only superficial fixes to the existing state of affairs. The leaked proposal is like the new ACTA, as EDRi’s Diego Naranjo put it. But we had not come to the European Parliament to complain. We believe that the reform could be fixed and that the Commission still has many options left. Enter the evidence: along with the abovementioned copyfails and ideas for sustainable solutions, Kennisland showed the incredibly fragmented landscape of limitations and exceptions by launching copyrightexceptions.eu. It is a web tool presenting the breakdown on existing limitations and exceptions in all EU Member States. We also presented an overview of our Best Case Scenarios of Copyright to illustrate that exceptions to copyright work, and benefit citizens in many European countries. Also discussed were the prevalent examples of the ineffectiveness of ancillary copyright in Spain and Germany, yet a publisher’s right has been introduced in the draft directive. And even though hundreds of thousands of European citizens showed support for a broad exception relating to freedom of panorama, it was not specifically addressed in the leaked proposal. The civil rights organizations found it even more puzzling that the reform takes all that evidence under zero consideration. The direction of the reform seems evident: continued protection for rightsholders with only minimal support for user rights and the public interest. The debate provided an opportunity to look into why this may be happening – that despite all the evidence, decision makers seem to lean towards solutions that will potentially drive out innovation from Europe, make education more expensive and less accessible, and limit the freedom of information. One of the reasons, presented by Pierre-Olivier Lesburguères of IFRRO, is that licensing works, and it works faster than lawmaking. In other words, if there is a good enough way to come to an agreement and generate revenue quickly, why should we aim for better laws? Indeed, the Commission’s leaked proposal seems to follow this flawed logic, introducing member-state-level prerogatives to license, create negotiating opportunities for stakeholders, and suggesting other soft measures based on good faith. 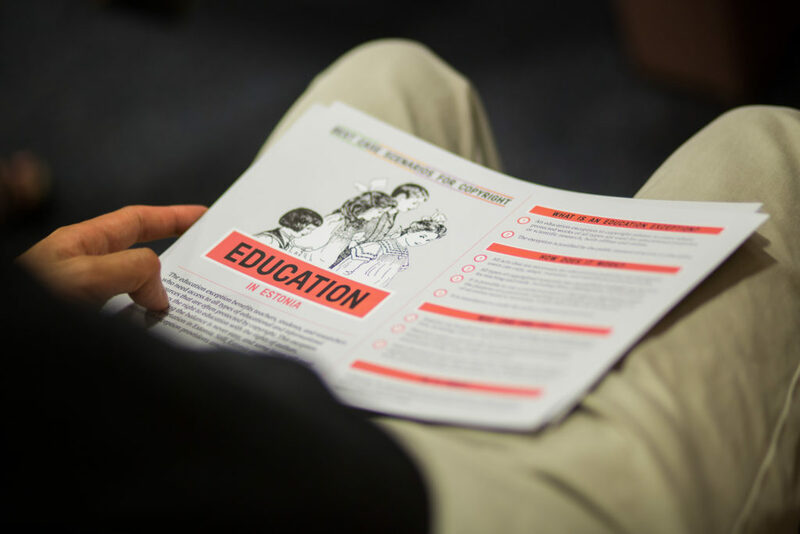 The envisioned effectiveness of these solutions seems to trump any alternatives that could better address this foundational challenge—equitable access to quality education for all Europeans. This, however, is a major blow to the much larger rationale of the Digital Single Market that envisions a harmonization of not only laws, but environments in which Europeans learn, work, trade, and access culture. Licensing means there will be no shared space, but (soon) 27 more or less synchronized spaces where doing cross-border business or accessing long-distance learning means understanding a labyrinth of national laws and licensing agreements. Isn’t that what we already have, though? The reform in the leaked shape buries the DSM for good. Well, wasn’t it supposed to pour a life in it? Some of the ideas presented in the draft directive are also poorly-constructed lawmaking. For example, the education exception already exists in the EU legal framework, introduced by the InfoSoc Directive. As COMMUNIA’s Teresa Nobre noted, it would be most sensible to make this and other exceptions in the InfoSoc Directive mandatory instead of creating a new frame of reference that inevitably will conflict with the interpretation of the “old” education exception. This may go, however, beyond good or bad policymaking. Exceptions and limitations to copyright should be seen as a right, not simply a favor tacked on for good measure. By safeguarding them, the EU champions the common space for expression, creation, learning, and innovation. The reform in the revealed shape places these safeguards in corporate hands. Whether it is a content-type license in education or terms of TDM access, this all means that the space that should be public becomes subject to a license agreement. As regards to MEP Comodini’s wish to avoid the polarization, it may be hard to avoid if the proposal remains so tilted towards the interests of one set of stakeholders. The Commission’s draft proposal seems to support legacy business models at the expense of future innovation and growth. If copyright was still a legal framework that only regulates the relationships within the cultural industries this would be unfortunate, but ultimately acceptable. But in a society where copyright directly affects how all citizens, educators, and researchers work, learn and express themselves, this is simply no longer acceptable. This entry was posted in EU policy, event reports, general and tagged copyright reform, eu-policy, European Parliament, event, exceptions and limitations. Bookmark the permalink.